The explosion at a Japanese nuclear plant in the early hours of Saturday looks, on the footage, huge and calamitous. An “expert”, interviewed on the BBC, tactfully described it as “energetic”. Here are excerpts from the Associated Press story from Japan, on the wires at about 2. am Saturday, PST. Rarely has my father Claud’s admonition “never to believe anything till it’s officially denied been given such powerful buttress. Comforting phrases and words in italic. ‘WAKI, Japan (AP) — An explosion at a nuclear power station Saturday destroyed a building housing the reactor amid fears that it was close to a disastrous meltdown… A nuclear expert said a meltdown may not pose widespread danger…. ‘…A “meltdown” is not a technical term. Rather, it is an informal way of referring to a very serious collapse of a power plant’s systems and its ability to manage temperatures. It is not immediately clear if a meltdown would cause serious radiation risk, and if it did how far the risk would extend. ‘Yaroslov Shtrombakh, a Russian nuclear expert, said a Chernobyl-style meltdown was unlikely. ‘The reactor in trouble has already leaked some radiation: Operators have detected eight times the normal radiation levels outside the facility and 1,000 times normal inside Unit 1’s control room. ‘Ryohei Shiomi, a nuclear official, said that each hour the plant was releasing the amount of radiation a person normal absorbs in a year. Here on the West Coast of the United States the Japanese earthquake was swiftly domesticated in the early dawn hours of Friday as the possible dimensions of the tsunami speeding States-ward across the Pacific. On the coastal stretch of our local county road in Humboldt county, northern California, perhaps the irksome signs installed a few years ago alerting drivers and hikers that they were in a zone exposed to the risk of tidal waves would at last be of some use, though what precise use is hard to say. If there really was a tsunami of destructive size racing towards the shore, by the time you saw the sign and looked out to sea, you would be engulfed long before swerving uphill at McNutt and inland towards CounterPunch’s southern HQ in Petrolia. The whole tsunami signage is locally derided as either a boondoggle or one more extrusion of the eco-panic convulsing the genteel classes, stretching from the Mayan calendar Apocalypse to the menace of flies flying into one’s latte, a pressing concern of the county Health Department, and requiring my neighbor Joe Paff – a coffee roaster – to install costly anti-fly barriers on his milk steamer machines. Of far more use would be alerts on the coastal stretch for wandering cows. In the event, so far as I could elicit from my current field HQ, in Indian Wells, southern California, is that in our neighborhood the tsunami was of modest dimension, even though coastal roads were blocked and the entire region on high alert. The town worst affected in northern California was Crescent City, which experienced an 8’ surge and considerable damage to boats, jetties and so forth. Some surfers furtively deployed, excitedly awaiting the Big One. Not so long ago I was looking at youtube at some King of the Waves whose idea of fun is to get pulled out by a Zodiac and then put in the path of 50’ waves, at night. “In the aftermath of the largest earthquake to occur in Japan in recorded history, 5,800 residents living within five miles of six reactors at the Fukushima nuclear station have been advised to evacuate and people living within 15 miles of the plant are advised to remain indoors. “Had the violent 8.9 Richter-scale earthquake that has just savaged Japan hit off the California coast, it could have ripped apart at least four coastal reactors and sent a lethal cloud of radiation across the entire United States. A giant of sententiousness, an endlessly cresting tsunami of tedium, I must hasten to add. I speak of David Broder, for many years chief political correspondent of the Washington Post, who passed this week amid much respectful invocation of his mastery of the American political process. Broder hated any form of disruption to what he admired in American political arrangements, viz two orthodox political large parties agreeing on all essentials, bartering amiably through the medium of the various chieftains with whom Broder palavered on a daily basis. He detested all forms of disruptive change, any threat to received wisdom, any excessive zeal in the pursuit of any cause. The possibility that the American political system might long ago have evolved into irredeemable corruption and criminality never crossed his mind. Through the filter of his reports the American Melodrama was recast into endless reassurance that everything was, in the last analysis, on the right track. Rarely has someone got history so consistently wrong. It seems that 60 Minutes, an immensely popular and profitable adornment of CBS News, can’t afford to hire conscientious or experienced researchers and checkers. The phrase is taken from the headline of a torrent of measured abuse of Hitchens written by Jack McCarthy for this website in 2002, a year when emotions were running high, amid the work-up to the attack on Iraq. Any moderately seasoned checker knows headlines are no-nos for specific attribution without detailed inquiry, with certainly did not occur in this case. 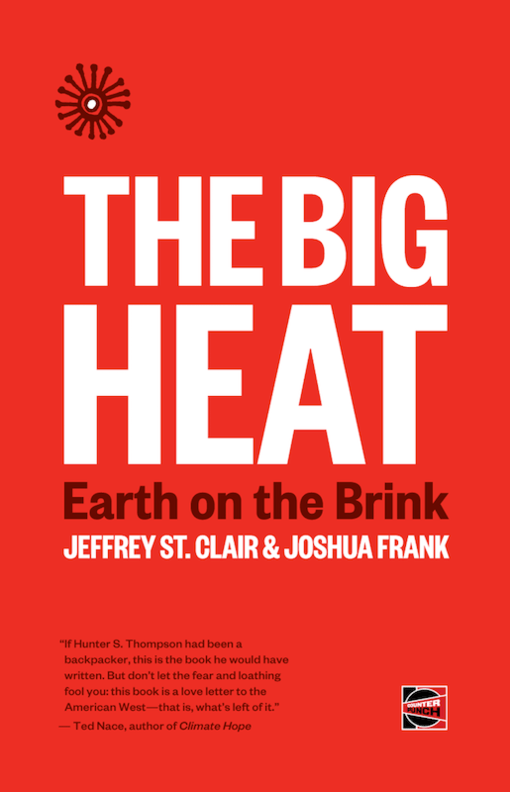 In fact this particular head was written by co-editor Jeffrey St Clair, etxracted from Jack’s tsunami of recrimination. Yes, Our Latest Newsletter is a Must! Our new newsletter is a must read, with Esam al-Amin and Vijay Prashad rounding off their fantastic reports on this website with special reviews of what’s happened in the Middle East’s revolutions and what is to come, plus Shaukat Qadir on America’s vain dream to balkanize Afghanistan and Andrew Levine on the significance of the uprising in Wisconsin. Subscribe now! And have this newsletter in your inbox, swiftly deliveredas a pdf, or – at whatever speed the US Postal Service first-class delivery system may muster – in your mailbox.